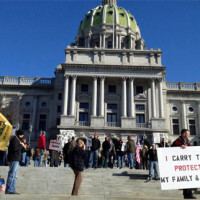 Pennsylvania State Representative Steve Santarsiero called for confiscation of semi-automatic rifles in December, but he’s since scaled back his legislative plans into “background checks.” This post will track his press conference to further restrict gun sales in Pennsylvania. Right now, we’re waiting on the live video link to start working. UPDATE: So, um, still no press conference. The House Democrats are promoting it with a link, but there’s nothing at the link. D’oh! Even though the House Democrats promised to stream it online, they have opted not to do turn on the streaming for this event. Yes, I know what it was supposed to be about. Well, I did just watch the Manchin/Toomey press conference on C-SPAN. Seems they are watering down the bill enough to make it palatable enough to see a vote. I’ll be interested in seeing the text. I am certainly open to that notion. However, the fact that they cited Schumer’s office as still being a big part of the deal and the fact that we have no actual language to read means that I think gun owners still need to be fired up. Whenever I see Santagungrabber and Tim Briggs on the same legislation…well, let’s say just stay away from these 2. 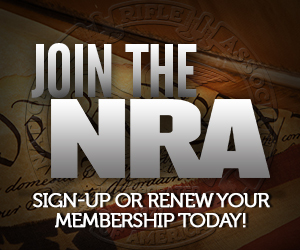 48 hour waiting period for “short-barreled” firearms? Pistols? etc. Tell him to go pound sand and I hope this HB1010 dies in the House Judiciary Committee as other pro-2A bills died in that same Committee when Dems controlled. Katie Kane can go pound sand on the same beach as Santagungrabber and Briggs and the rest of the Misfits that have signed on as cosponsors to his proposed bill.